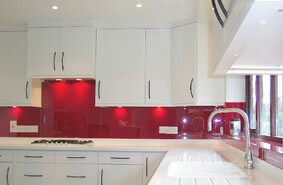 About Decor Glass Decor Glass Leeds. Glass and Glazing. Decor Glass Ltd. was formed in 1982 and has grown over the years into a glass merchant and processing company that can tackle most glazing and manufacturing projects. Our glass can be found anywhere, from a humble fridge shelf to the grandest house in the land. From the local chippy to prestigious high street fashion stores.